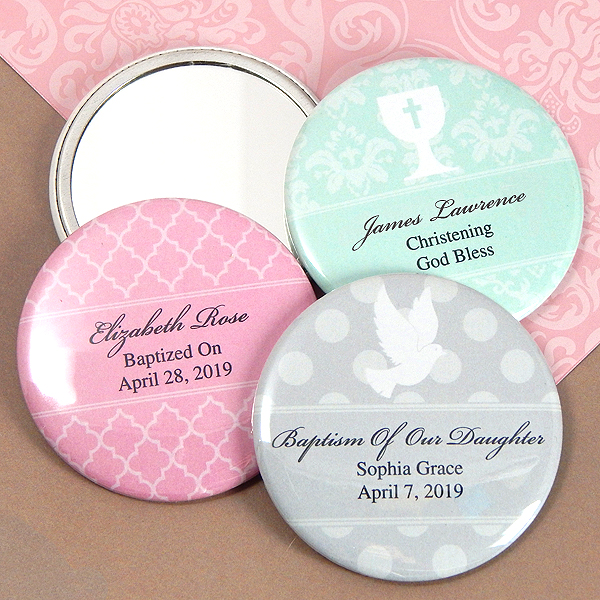 These personalized communion magnets or mirrors offer a totally unique way to thank your guests for coming to your holy event. They will think of you each time they look at their fridge, file cabinet or locker if you choose the magnets; or you can choose the mirrors which are great for a pocket or purse. Well made with a shiny finish, each magnet or mirror is so affordable and measures 2.25" in diameter. A finished favor, there is no assembly needed. They need no assembly and are ready to give or place at each table setting - presentation packaging is not offered with these items. 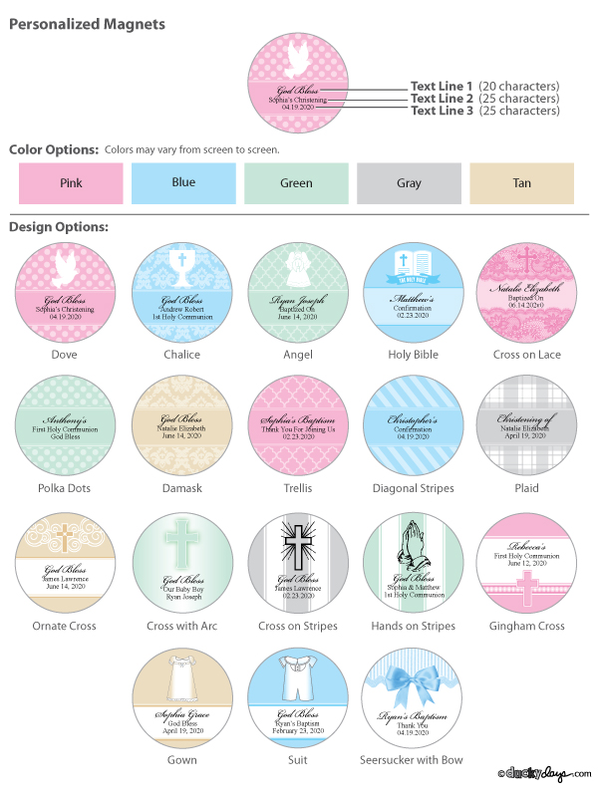 When personalizing these items, you have 20 characters of text in line 1; there are 25 characters available for lines 2 and 3. Very happy with the magnets, whenever I need favors I will be ordering from you!